PHILADELPHIA – Sept. 3, 2014 – Woodmere Art Museum ushers in the fall season with its annual straw maze, Saturday art-making activities and a Halloween-themed exhibition from the collection of local artist Peter Paone. Each fall, families flock to Woodmere’s front lawn to explore a sculptural installation made from massive straw bales. This year’s maze, Bales of Cornwall, is designed by architect and designer Peter Brown and Barbara Ann Sprague of BrownSprague LLC. 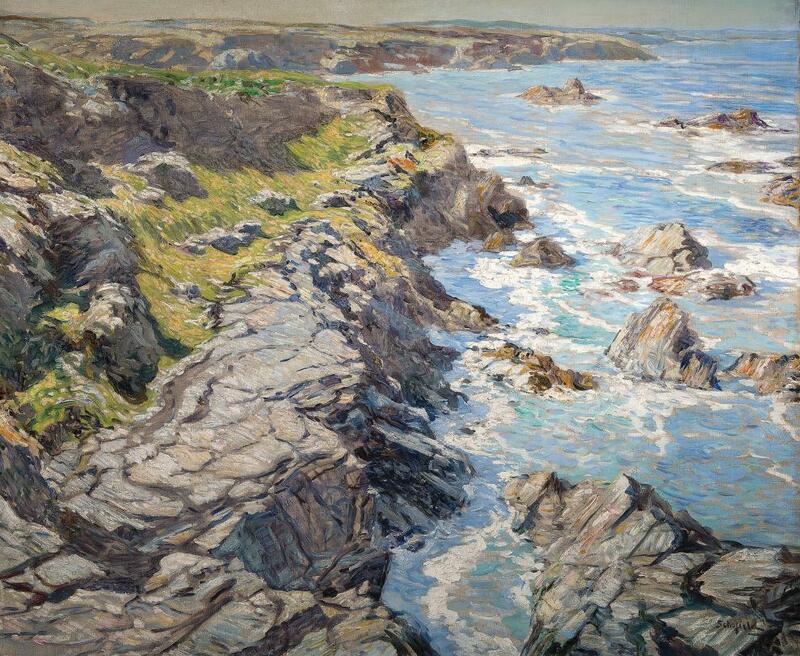 Inspired by the painting Morning Tide – Coast of Cornwall by Philadelphia artist Walter Elmer Schofield, whose work is on exhibit at the Museum starting September 18, the maze will be open for nine weekends from Sept. 5-Nov. 2. A ticket to the straw maze includes art-making activities on Saturdays and a special Harry Potter-themed weekend during Chestnut Hill’s Harry Potter Festival, Oct. 17-18. The exhibition Things That Creak in the Night: Selections from the Halloween Collection of Peter Paone will run Sept. 6–Nov. 2. Philadelphia artist Peter Paone has been collecting Halloween toys and decorations all his life. This intriguing collection features classic Halloween imagery of noisemakers, hats, paper decorations and fascinating tricks and treats from the first half of the twentieth century. Paone was born and raised in South Philadelphia, educated at Philadelphia College of Art (now the University of the Arts), and works in his home studio located in Mount Airy. Paone will present the lecture “The Secret Language of Painting,” providing insight into his creative process, on Wednesday, Oct. 1 at 7 p.m.
Schofield: International Impressionistopens on Sept. 18 and offers the most ambitious exhibition mounted to-date of the work of renowned landscape painter Walter Elmer Schofield (1866-1944). 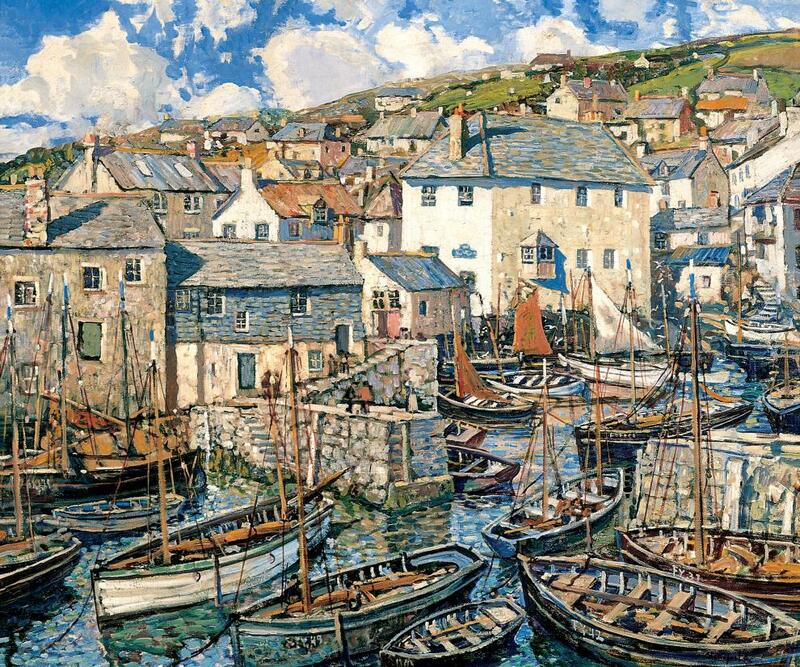 More than 60 paintings by Schofield are brought together for the first time to showcase the range of Schofield’s work, from his earliest known paintings of European harbor towns, to his celebrated Pennsylvania landscapes, to the more freely composed images of Arizona and California of the 1930s. 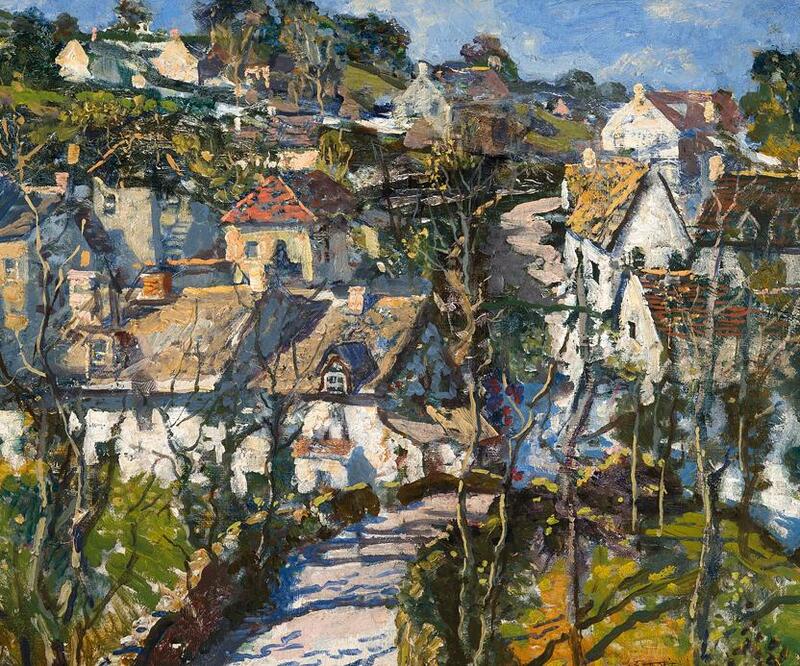 His works were among the great prize-winning paintings of their time, sought after by world-class museums and private collectors. 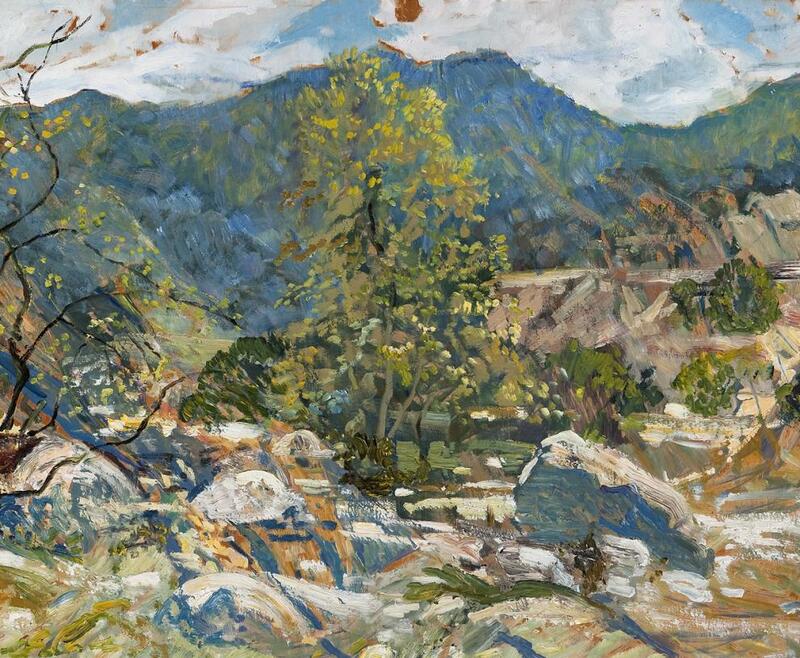 The exhibition establishes the chronological trajectory of his career and offers a view of his achievements in the context of his participation in American Impressionism and twentieth-century realism. The exhibition is on view September 18, 2014 – January 25, 2015(open house reception Saturday, Sept. 27, 1-4 p.m.). Also on view are Theresa Bernstein: A Century in Art through Oct. 26 and ART: Education, Observation, Actualizationfeaturing work by 6-12 grade students of Esperanza Academy in the Helen Millard Children’s Gallery through Oct. 19. Woodmere’s popular music series, Friday Night Jazz kicks off on Oct. 10 with the swinging sounds and blues of Philadelphia jazz organ. Classic Saturdays begins on Sept. 20with Tempesta di Mare: Songs for Shakespeare, as part of Philadelphia’s Year of the Bard, Shakespeare at 450; and Tuesday Nights At The Movies begins Sept. 30 with the classic western, High Noon. A full schedule of music and film events is available at woodmereartmuseum.org. The full schedule of fall programming at Woodmere Art Museum follows below. Woodmere Art Museum is located at 9201 Germantown Ave. Admission to special exhibitions is $10 for adults, $7 for seniors, and free for students, children and Museum members; exhibitions in the Founder’s Gallery and Helen Millard Children’s Gallery are free. Woodmere also offers free admission on Sundays (not including events). Museum hours: Tuesday-Thursday, 10 a.m.–5 p.m.; Friday, 10 a.m.-8:45 p.m.; Saturday, 10 a.m.-6 p.m.; and Sunday, 10 a.m.-5 p.m. For more information, visit woodmereartmuseum.org or call 215-247-0476. Admission: $8 per child ages 4-11 with adult (members, $6) or $20 for families of three or more (members, $18). Multiple weekend passes are available. Friday, Oct. 17, 6-8 p.m. and Saturday, Oct. 18, 10 a.m.-6 p.m. The Bales of Cornwall straw maze will be transformed into the dangerous cliffs, caverns and sea where Dumbledore and Harry Potter search for the locket containing one of Voldemort’s souls. Families can also enjoy some Hogwarts Express treats from the trolley. Open House Reception: Sept. 27, 1-4 p.m.
Open House Reception: Sept. 13, 4-6 p.m. Reception: Oct. 5, 2-4 p.m. This fall’s jazz series includes the music of Al Green, Barbra Streisand, Cole Porter, Irving Berlin and more.